Review Saint 48th Edition is Out! Get a Free Mediterranean Recipe Book in Return for a Honest Review! 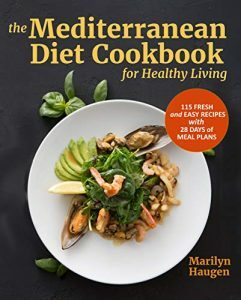 *The Mediterranean Diet Cookbook for Healthy Living: 115 Fresh and Easy Recipes with 28 Days of Meal Plans (PDF) by Marilyn Haugen, Alexander Kim MS. Price is: Free. Genres are: Middle Eastern Cookbook of the Day, Sponsor, Mediterranean Recipes, Nonfiction. Rated: 5 stars on 4 Reviews. ASIN: B07MMHPBBG. Please note: The Author has made this book free in return for honest reviews. Please leave a review on this book’s page when done reading. Thank you! Please Note: Read the Reviewers’ Code of Honor Here. Previous Previous post: Ketogenic Diet, Holistic Medicine and a Guard Against the Prostate Disease: Get a Free Cookbook in return for a Honest Review! Ketogenic Diet, Holistic Medicine and a Guard Against the Prostate Disease: Get a Free Cookbook in return for a Honest Review! Get a Free Seafood Cookbook in Return for a Review!